Learn to make your own strawberry facial; it’s what separates the women from the girls. What separates the ladies from the gents, and … I’m all out of clever and it wasn’t even that great. That’s it folks, nothing to see here! 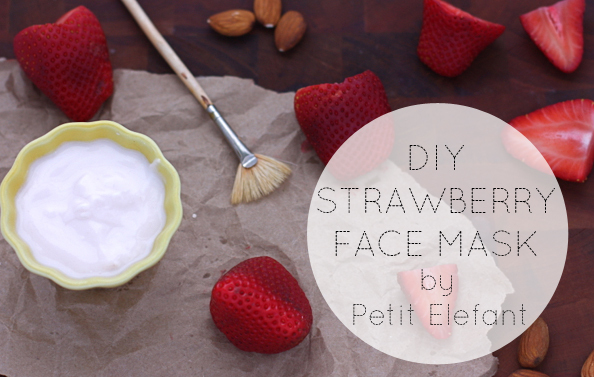 But seriously, let’s talk about how to make your own facial: a strawberry one at that. I love me a good DIY facial, and this one is fantastic. You only need three ingredients to whip up this face mask and it is so deliciously fabulous for your skin. Strawberries are filled to the brim with healthy antioxidants, vitamin C, and salicylic acid (found in good acne creams) and let’s face it: strawberries make a girl feel nice and pampered. Don’t they? Is it just me? Strawberries remind me of champagne, which although I don’t drink, feels glamorous, and feeling glamorous reminds me of a spa. And when there’s a spa, there’s probably a facial. If you give a mouse a cookie he’s going to ask for some milk, and if you give a girl a strawberry, she’s going to ask for a facial. Alright, enough distraction. Here’s the facial recipe. Using a coffee grinder or blender grind the almonds into crumbs. In a separate bowl mash the strawberries together (really well). 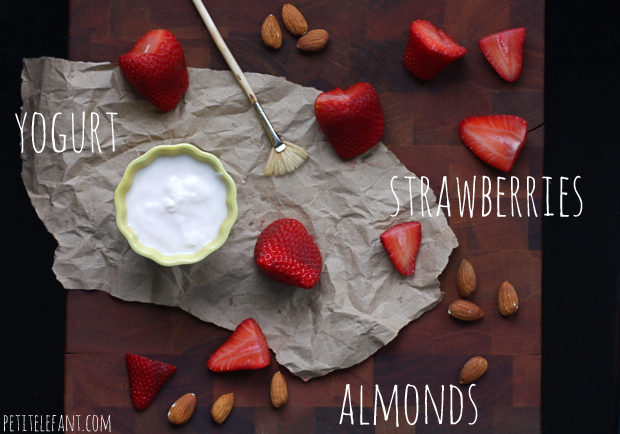 Once the strawberries are a good mashed consistency, add yogurt and almonds and mix the whole thing together until you have a nice consistency. Spread the strawberry mixture all over your face and let it sit for about 20 minutes. Go watch an episode of one of your favorite shows (a short show, no Grey’s Anatomy or movie marathons today, sorry) while the facial has time to soak into your skin. Wash mask off with lukewarm water. Don’t you feel better already? Those strawberries, they get me every time. This is just awesome! I am a big fan of your blog, your posts are so creative and the photos are fantastic. This one looks tasty! Sounds heavenly! Can this be made and gave as a gift? Would I have to refrigerate this? I adore doing DIY facials and do them at least once a week. Mine are usually clay, but your strawberry one sounds decadent! I love your blog and your sugar scrub has been a raging success with my closest girlfriends who I shared a batch with! So I’m definitely keen to give this facial a go, just wanted to check can I use almond meal or do the almonds need to be a little rougher?